I’ve been in Crested Butte for a few days for the Crested Butte Music Festival, and wanted to share a few photos and some advice about walking the Crested Butte Rec Path. Accessing the Rec Path couldn’t be easier; just walk straight up 9th Street and you’ll see the freshly paved trail heading towards Mt. Crested Butte. The trail is perfect for walking or biking–just remember to share the road and be mindful of bikers zooming around you! If you’ve just flown in from sea level (I came from Boston), the rec path is a great option for your first walk to get a little acclimated to the elevation. It has a gentle incline and takes you straight up to the resort area. A round trip walk would probably take you about two hours. You pass beautiful wildflowers, a babbling river, and fantastic log cabins along the route. The path is a dog paradise, but be sure to keep them on leash to avoid going into the protected land. You’ll also want to pack a hat and sunscreen for your walk. There are no trees or shade on the path, so things can heat up pretty quickly. 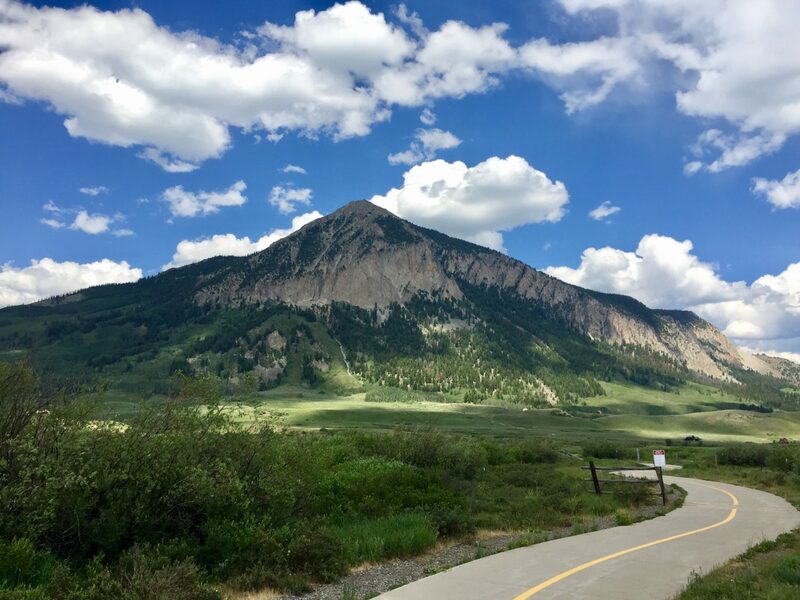 Overall this is a beautiful trail for walking and biking in Crested Butte! I’d highly recommend it for all ages. I hope you enjoy a few photos I took of the Crested Butte Rec Path from my phone during my own walk!